As much as I love the idea of a powerful machine that can run both Android and Windows 8.1, it seems like every vendor who’s made one has missed the boat on some important aspect. Of course, Samsung’s ATIV Q, in addition to offering only 4GB of RAM (to be shared between both OSs), was never actually offered for sale—a pretty significant weakness. 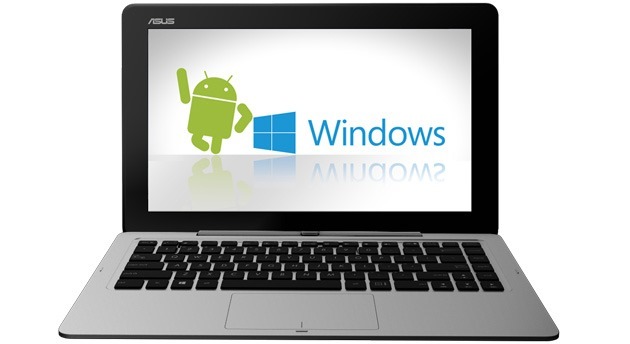 And ASUS made a huge mistake, in my opinion, of putting a spinning disk in the Windows-based keyboard dock on their Transformer Book Trio. 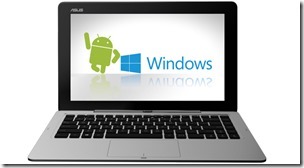 Now, ASUS has announced the Transformer Book Duet, a machine that can run Android or Windows as either a tablet or a docked ultrabook. That sounds excellent in theory, but unfortunately they’ve saddled the machine with either a 1366X768 or 1920X1080 resolution 13.3” screen. That’s 117PPI and 165PPI, respectively, meaning that Android will be running at screen densities that were either worse than or equal to the ones we were using in early 2012. Frankly, Android just looks bad at lower screen densities, particularly in terms of text. Windows is fine, because even Windows 8.1 hasn’t fixed the OSs problems with scaling at high resolutions and a 1080P 13.3” screen is comfortable to use. And, Windows ClearType makes text look good enough even at lower screen densities. But Android? Forget about it. In my opinion, Android needs at least 215PP to render crisp text (say, the 1280X800 resolution 7” screen on the 2012 Nexus 7), and the higher the better. And so ASUS is making a machine that’s going to look passably fine in Windows 8.1, but then render pixelated text when running Android. To me, that’s a bad combination. What do you think? Is 165PPI enough for you, or do you, too, hanker for a Windows/Android hybrid that offers a retina or better screen?